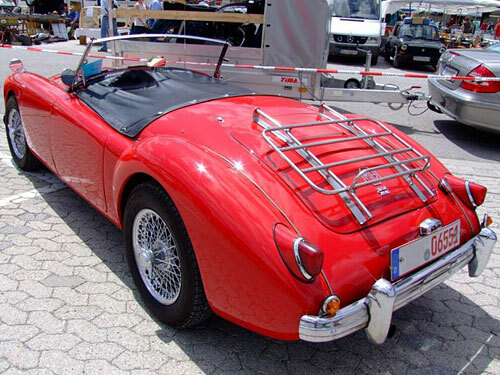 Bonnie from Wisconsin writes... "Just found and purchased a carburetor/intake for my husband's MGA 1500. Finding one was a lot easier by using Ownster - so thanks!" I managed to find some photos of her purchase which you can see below. 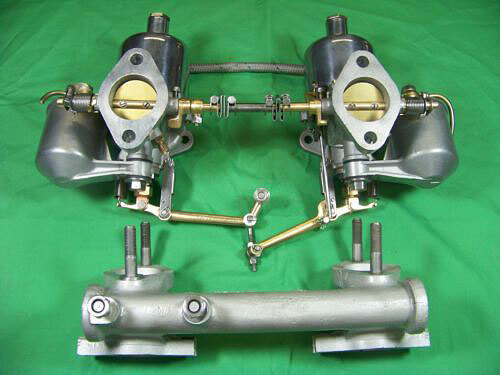 For those who don't know, the "SU" stands for Skinner Union carburetors. Just about every British sports car contains one, two or three of the carbs, which blend air and fuel for the engine to use. 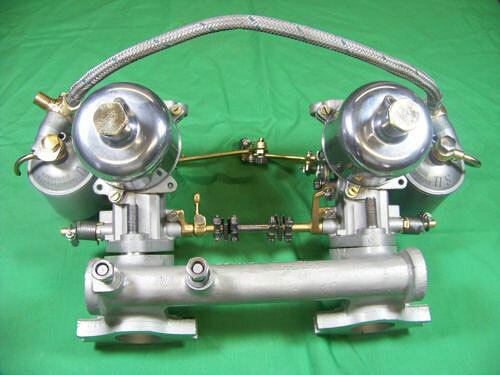 As these carburetors age (most are over 50 years old) they tend to make the cars idle badly, run poorly and get lousy gas mileage. When restored properly, they often help the car run better than it did when it left the factory floor. Restoring carbs take time. There's usually a mutli-step process to restore color and appearance of all castings and parts. Skinner Union dashpots were typically available highly polished or with an original 'dull shine'. 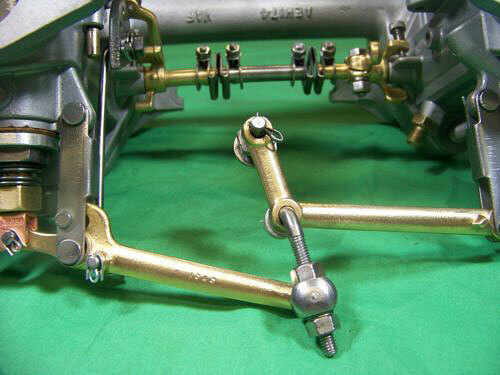 The steel linkage is replated/polished and new throttle shafts and bushings are usually installed. 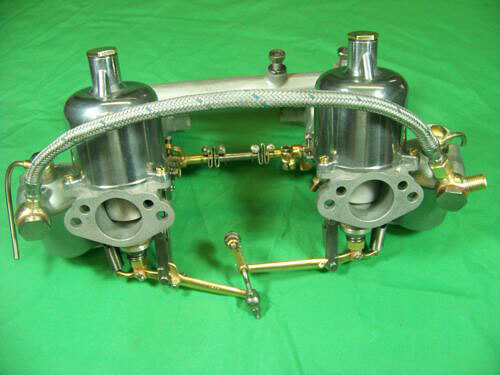 When purchasing remanufactured Skinner Union Carburetors, I look for new jets, needles, piston springs, float valves and float bowl grommets as well as proper pressure testing. I've done a bit of "googling" and when new, these carbs can cost $1200. In the end, Bonnie paid $500... which as it turns out... was a steal. Copyright © 2012 ThePartsPages.com. Picture Window theme. Powered by Blogger.